It is mandatory for employees working in certain industries to wear uniforms while working. In sectors like the armed forces, police force, and hotels, uniforms make it easy for the common people to identify the professionals. In many other industries, uniforms are compulsory for various other reasons. Uniform manufacturers consider all factors from safety to aesthetics while designing and making uniforms for different industries. 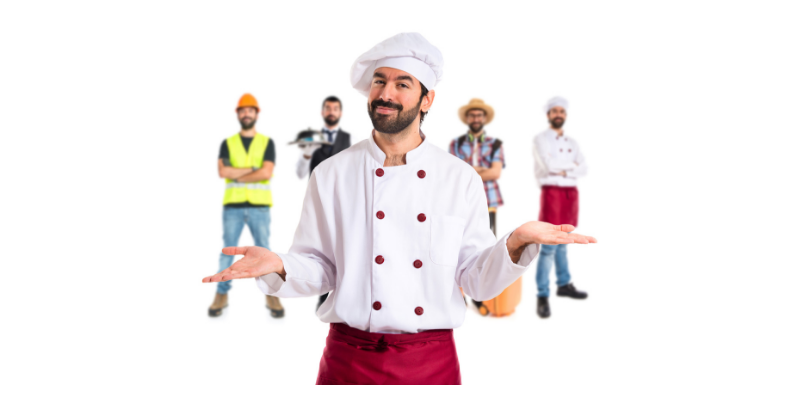 Chefs and helpers in the kitchen wear aprons and other “safe” uniforms. Oil splatters, spills and other accidents could happen while working in the kitchen. The uniform is designed to offer optimum protection. At the same time, the uniform is designed with multiple pockets, so that they can keep essentials handy and at easy reach. Uniforms are very essential in the healthcare industry. Doctors, nurses, attenders and others in the hospital deal with hazardous waste. So, it is very important for them to have protective wear like gloves and masks while handling medicines and instruments. Also, uniforms make it easy for patients and others to identify the healthcare personnel working in the hospital. Employees working in manufacturing unit have to wear uniforms and protective gear as per industry requirements. Workers should also wear sturdy shoes that will protect their feet from debris and fallen materials. Mechanics generally wear overalls while working on automobiles, either in the service shops or in the manufacturing units. The uniform will have plenty of pockets where they can conveniently keep their tools. Also, the overalls protect them from grease and oils. Employees working in stores, super markets, and retail units wear uniforms. These uniforms are more for aesthetic reasons than for protective purposes. The uniforms reflect the image of the brand and hence are always selected with care. UniPro is one of the leading uniform suppliers in Bangalore. We design and manufacture uniforms based on industry requirements and protective standards. You can select the fabric and colour options based on your company requirements. We also embroider the logo on the uniform as per your specifications. If you want customized uniform designing for your company, contact us right away.